With Thanksgiving right around the corner, now is the perfect time to focus on fun, family, friends, and giving back to your community. 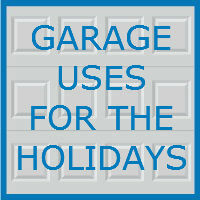 Did you know that you can use your garage for a variety of wonderful Thanksgiving oriented activities? Transform your garage into the perfect setting for your family’s Thanksgiving meal, or set up a community fundraiser and give to those less fortunate in your area. There are endless possibilities for getting the most out of your garage each season. Here are a few amazing ideas for incorporating your garage into your Thanksgiving this year. Thanksgiving is a time to come together as a family, enjoy traditions, and eat ridiculous amounts of food. Many people celebrate by getting together with friends and family, but inviting lots of people over can lead to space problems within your kitchen and dining room. If you are out of seats at the table this year, consider transforming your garage into a makeshift dining room for all of your Thanksgiving guests. Especially for families with smaller homes, or small dining rooms, the garage can be the perfect Thanksgiving party venue. Start by cleaning the space of any dirt, garbage, and clutter, and then lay out your arrangement from there. Many people place comfortable couches and chairs around their garage to encourage socializing, and then set up a long, large table and chairs in the middle of the room for the meal. Spruce up the space with extra holiday decorations, and be sure you have a way to get music playing to create the perfect ambiance. People living in colder climates should also remember to plan for heat within the garage. Purchasing an additional space heater or two may be necessary to transform your garage into a warm party venue. As we prepare to celebrate what we are grateful for, it is important to remember to give back to our community and help those that are less fortunate. Millions of Americans take part in community service and volunteering over Thanksgiving as their way of giving back. This year, skip the soup kitchen and provide a Thanksgiving dinner for those less fortunate in your neighborhood. Your garage is the perfect place to set up a makeshift Thanksgiving dinner for those in need in your community. With fall sports officially wrapped up, and winter sports just beginning, Thanksgiving is the perfect time to host a sports equipment swap, especially if you have children. Youth sporting gear is expensive, so many families seek out equipment swaps and used sporting good sales. This year, gather all of your family’s unused sporting equipment, and host an equipment swap in your garage. Invite neighbors and other community members to bring their own gear to trade or sell. You will quickly be able to declutter your home, trade for some new kids gear if needed, and walk away with a little extra money for Christmas gifts. As the weather becomes colder, many families are struggling to provide warm winter gear for their children. This year, give back by hosting a community coat drive. Dig out any unused coats in your home, and ask neighbors and other community members for donations as well. Consider setting up a drop off bin at your office, or your children’s school, and encourage coworkers and classmates to bring unused winter items. Then, pick a day or time sometime around Thanksgiving and open your garage for the drive. We certainly cannot forget about Thanksgiving football. Your garage is a perfect space to create either a makeshift or permanent football den. Check out this earlier post on converting your garage into a football den. Your guests will thank you when they have a beautiful spot to catch this year’s games. This year, transform your garage into the center of your holiday fun. No matter the season, there is always something awesome to do with your garage. For other useful tips, tricks, and garage ideas, keep following our Skywriters Blog. Contact Blue Sky Builders online or over the phone at (630) 852-8485. 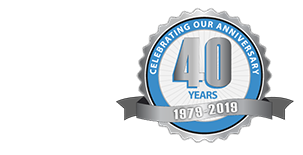 Our talented team of garage experts can assist you with anything you need.